During the nineteenth century and the first half of the twentieth, German universities were at the forefront of scholarship in Oriental studies. 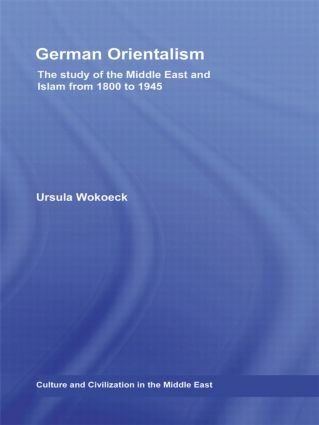 Drawing upon a comprehensive survey of thousands of German publications on the Middle East from this period, this book presents a detailed history of the development of Orientalism. Offering an alternative to the view of Orientalism as a purely intellectual pursuit or solely as a function of politics, this book traces the development of the discipline as a profession. The author discusses the interrelation between research choices and employment opportunities at German universities, examining the history of the discipline within the framework of the humanities. On that basis, topics such as the establishment of Oriental philology; the process of institutional differentiation between the study of Semitic languages and the study of Sanskrit and comparative linguistics; the emergence of Assyriology; and the partial establishment of Islamic studies are explored. This unique perspective on the history of Oriental studies in the German tradition contributes to the understanding of the wider history of the field, and will be of great interest to scholars and students of Middle East studies, history, and German history in particular. Islamic studies: The emergence of a (sub-)discipline?